Aragonite crystals. 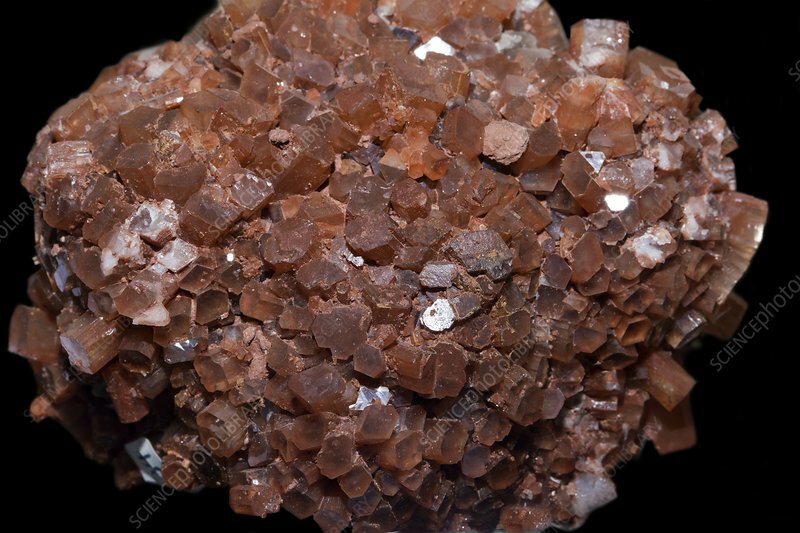 Aragonite is a carbonate mineral and one of the two common naturally occurring crystal forms of calcium carbonate (CaCO3), the other being calcite. It is the predominant shell and skeleton forming mineral of molluscs and corals, but is unstable in the long term and replaced by calcite, as is the case in fossilised organisms. Actual width of this sample is 100mm.